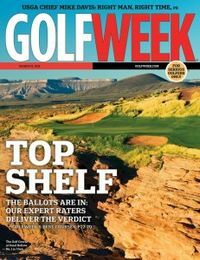 Free Subscription to GolfWeek Magazine-Click here to sign up for a free subscription to GolfWeek Magazine, courtesy of RewardSurvey. You don’t even have to submit billing info for this freebie! Free Pimple Pete Game-Family Rated is giving away free Pimple Pete Games. Click here to apply before September 25th. Free Chobani Greek Yogurt 4-Pack from Schnucks-Download the Schnucks Rewards app and scan your barcode at the register for your freebie. Valid only for the first 15,000 uses or through tomorrow, 9/21/2018. Free Food Everyday This Month at Pilot Flying J-Get free treats and eats at the Flying J. Just download the app and see what yummy freebies they are offering. Free Sample Pack of Sephora Collection Clay Masks-(Instagram required) Get a free sample pack of Sephora Collection Clay Masks, while supplies last. Click here to order. Please allow 6-8 weeks for delivery. Free Hormel Compleats for Kroger & Affiliates-This Friday, September 21, login to your Kroger account and get an ecoupon to redeem for a free Hormel Compleats. You can use the coupon through 10/7/18. Free Coffee at Wawa on 29th-Free coffee coming your way! Simply download the Wawa app and redeem the free coffee offer on September 29th. Available for a limited time. Free Subscription to Essence Magazine–Click here to begin your complimentary subscription to Essence Magazine, courtesy of RewardSurvey.com. Simply complete the survey and redeem points for prizes! Available for a limited time.Free Sample of Joy by Dior Fragrance–Click here to request a free sample of Joy by Dior fragrance. Allow up to 8 weeks for delivery. Free Snickers Bar During Monday Night Football-Finally, a reason for me to watch Football! Watch Monday Night Football for an incomplete pass in the first quarter. Click the link here on Facebook and request your free Snickers bar by following the prompts. You might need a desktop computer for this offer! Free 6-Month Subscription to Bitdefender Internet Security 2019-Click here to start a free 6 month subscription to Bitdefender Internet Security 2019! Once you sign up, watch for an email with activation code. Valid for new users only. Free Pumpkin Spice Doughnut at Krispy Kreme-Krispy Kreme Rewards Members can scan their app barcode at checkout to score a Free Pumpkin Spice Doughnut. If you are a new member, this offer won’t appear but you still get a free doughnut as a welcome. Free LEGO Mini Model Build–Click here to register for the free LEGO Scarecrow Witch mini-build at your local LEGO store, coming up on October 2nd & 3rd. Free Coloring Pages for Adults-Right now, you can download 15 free coloring pages for anyone who has some extra time or artistic talent on their hands! Click here to get started. Free $10 Off at Lane Bryant-Text TRENDY to 552255 for your free discount code with no minimum purchase! Valid from now through 9/19/18. Free Subscription to Seattle Met Magazine–Click here to begin your free subscription to Seattle Met Magazine, while supplies last.